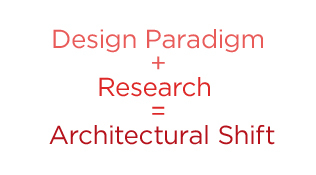 Research : LOH ARCHITECTS & Associates Inc. Working with prestigious university research centres in Canada and abroad, our mission is to explore sustainable solutions to urban planning and environmental issues that affect the way we live in cities. In Canada, we co-founded the not-for-profit think tank, EcoSRG, which now includes a cross-disciplinary team of researchers from Ryerson University and Beijing Tsinghua Urban Planning Institute, which aims to take ideas from concept to practice. EcoSRG Inc., a Canadian not-for-profit think tank founded by LOH ARCHITECTS which works with government and institutional clients to find sustainable energy solutions to specific projects. It is an on-going collaboration between industry NGOs, engineering professionals and Ryerson University, Research and Innovations. The Beijing Spatial Art Design and Research Institute, an affiliate of Beijing’s Tsinghua Tongheng Urban Planning and Design Institute has signed a two-year agreement with LOH ARCHITECTS to collaborate on large-scale green architectural design projects for international clients from 2013 to 2017. Tongji University in Shanghai and its College of Architecture and Urban Planning has invited LOH ARCHITECTS to conduct a series of lectures for the 2017 academic-year, to focus on architecture and sustainable design and its implications for cities of the future.